Last week, we celebrated Lola’s second birthday. We did it quietly and without too much fanfare at home. Last summer, Malone and Lola shared a joint end of summer birthday party at a park with a nice playground, which is what we’ve decided to do this time around too. A joint party means less stress and planning and more time to enjoy the day. Lola is every bit of two these days- she’s sassy, fiercely independent, and loves big. Girlfriend can accessorize with the best of them. With two comes the transition from baby to toddler, I threw away her bottles this week- she didn’t even miss them. There are other big moments coming around the bend soon- the transition from crib to toddler bed and learning to use the potty. She’s not quite ready yet, but on her way. I reached out to my community to ask for their real life potty training tips. 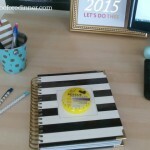 I got some great advice to share with you today! My biggest tip is talking about it, reading about it, watching tv shows about it and making it a normal part of life. Ashley W, Embracing Beauty. Leave a potty in the bathroom beginning when they learn to walk. Yep, walk. Just leave it there. Let them watch you use the bathroom. Within a few months, invite them to just sit on the potty while you do. They will initiate it themselves to emulate you and will soon want to pull their pants down to “practice”. Sooner or later they will just start to go. My son did this between 16-18 months. My daughter did it but wasn’t potty trained until she was 30 months and was ready. Remember children achieve milestones at different times. Linda S, Unboxed Mom. Wait until they are ready to get started. Don’t rush it. They’ll let you know when they are ready. Also, Stella’s preschool teachers facilitated the training process by taking the kids to bathroom every twenty minutes, and they let me know when I could start sending her to school in underwear. It was awesome. Nancy C.
Wait until they are ready, not when the parent is ready. I waited til Ryan turned 3. We tried some underwear on, I showed him his potty. In ONE day he was potty trained. We never had to run around naked or go through nights of wet beds or stained clothing. He just got it. Because he was ready. 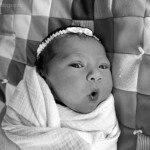 Andrea B.
It’s really about when the parents are ready too…. and don’t set a time limit. Invite the child to explore and use the potty. Praise and be proud of small accomplishments. Julie F.
If potty training is not going well for both of you, take a break. Jill B, Musings From Me. Make you kid feel part of the process. When we started with our son, we through a made a whole production of it, i.e. throwing away his diapers, and even had him throwing them away saying, “Get out of here diapers, I’m a big boy now!” And we had him pick out his undies at the store. Mike C, Papa Does Preach. What really helped us over the hump was Phoenyx’s teacher. They let him in because he was SO CLOSE to using it full time and once he saw other kids and someone helped him that WASN’T Me, he got it instantly. Trisha H, Mom Dot. We plan on using Pull-Ups® to get Lola excited about potty training. 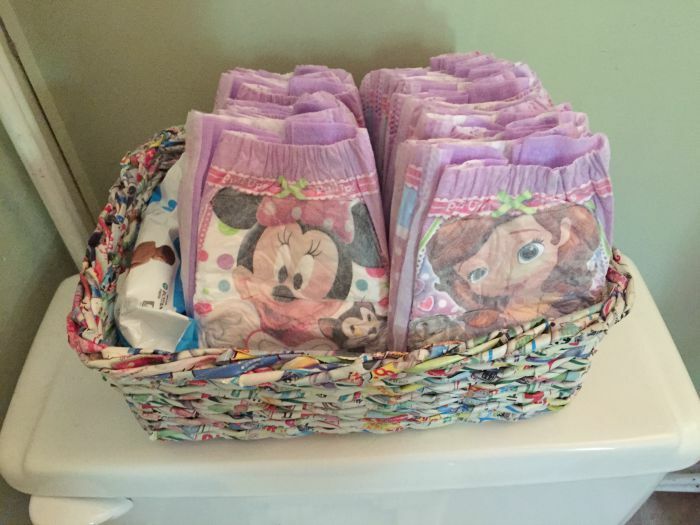 She loves Sophia, Minnie, and Doc McStuffins and those characters are on the fronts! The first week of potty training, we’ll use Pull-Ups® just as is and set a timer. The second week, we’ll use the timer and put undies on first and Pull-Ups® over. She’ll be able to “feel” if she’s had an accident. Week three = full time undies and the timer. This method worked really well for Malone (now six) so we’re hopeful it will work again. 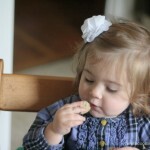 NJ R, A Cookie Before Dinner (hey, that’s me!). It is okay to bribe them. My daughter would get a Smartie every time she went in the potty and would get a Kinder Surprise egg for every solid. If you are using treats make sure you have a set amount of them so your child knows that after 3 kinder surprise eggs they are now a big girl/boy and are expected to use the potty just like mom/dad. 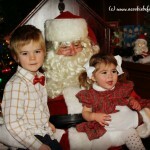 Katrina T, Tots Family. Have lots of naked time. Use the naked and $75 method. Strip them naked, give them anything they want to drink and put the potty seat in the middle of the living room. Reward them for every success. Ignore accidents until you know they have the idea down. The $75 is to clean your carpet when the whole things is over. Used this for both of mine at 2 years old. The boy was potty trained in less than a month and the girl took less than 2 weeks. It works. REALLY! Diane H, Suburbia Unwrapped. Find the kind of gear that works best for you. 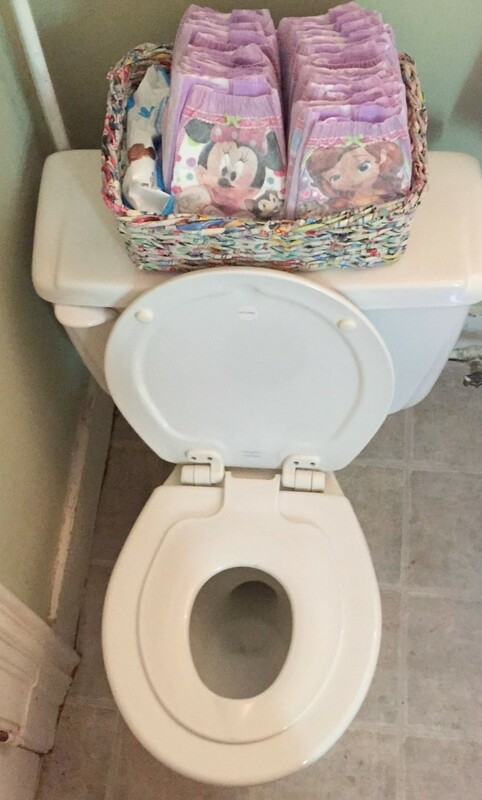 Get the toilet seat with the little kiddie seat built right in the rim…saves time for the kid that can’t wait. Natalie G, It’s Really 10 Months. Do not share about potty training on social media. This can be tricky, especial because as parents, we’re so proud of our kid’s accomplishments and hard work. But in 12 years from now, is your 14 year old going to be glad you’ve plastered a picture of them sitting on the potty all over Facebook? 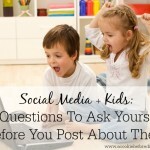 If the answer is no, then keep it to yourselves (or put it in their baby book or journal). And for your child’s safety, never ever show a photo of them naked sitting on the potty. Seriously, there are creepy creeps out there. NJ R. A Cookie Before Dinner (hey, that’s me!). Relax, they’ll get the hang of it eventually. My kids seemed to get trained despite, not because of, anything I did to encourage them – and I tried everything. For each of them, there was one day when they just decided they were on board. Not that there weren’t accidents after that, of course, but they understood that the expectation was they would be using the potty. So my recommendation is not to stress out about it. They won’t go to college in Depends. Kathleen G.
It’s been a while, since my youngest is 17, but I think my biggest tip is to relax. Try to not put too much pressure on yourself, or your child, about the time line. I have 4 children. One of them was potty trained before her second birthday. Another one was 4 1/2 before she figured it out. I was so frustrated with myself, her, etc, and it kept me stressed out. I still remember a pastor’s wife telling me, she won’t got to kindergarten with a diaper in her lunch box. And if she does, it is still ok. And you know what, they are all grown now, and, it was and still is ok. Cheryl L.
Keep accidents positive & pour out the praise for a job well done. Take it on the road or outside. With my son, the biggest light bulb went off when he realized that stores had a public restrooms. I’m trying to familiarize my daughter now, so she starts making the connection. Wendy K, ABCs And Garden Peas. For my son, he loved being able to pee in the woods on a hike. For some reason, that helped make the connection for him. For my daughter, reading to her on the potty helped her feel calm and comfortable to just “let go.” Ha! The reading trick actually helped both of my kids be pooped trained before pee, which I know is the opposite of most kids, but much less messy to deal with. feel free to link to me if you’d like. Jennifer M, Comeback Momma. 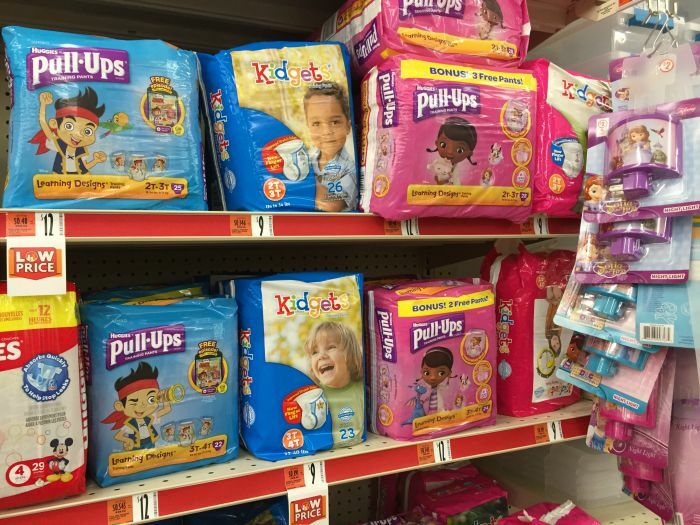 Pull-Ups® products are all about getting kids interested in potty training. Pull-Ups training pants have unique patterns that fade when wet to help your child learn to stay dry. The easy-open sides make it easy to check for potty breaks, plus they’re stretchy to help kids learn how to put them on and take them off like a Big Kid. New Disney designs feature Doc McStuffins, Ariel, Jake and the Never Land Pirates and Lightning McQueen. We picked up our package at Family Dollar. 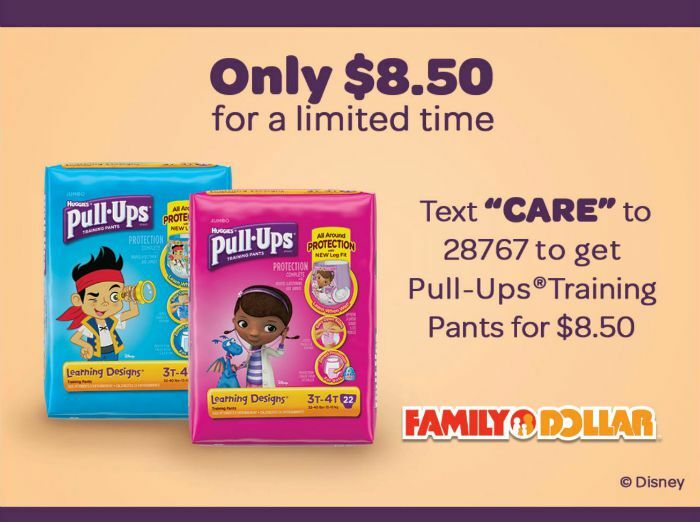 Text CARE to 28767 to get Pull-Ups® Training Pants at Family Dollar for $8.50 for a limited time only! 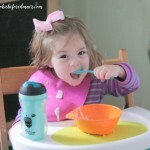 What advice do you have about potty training?